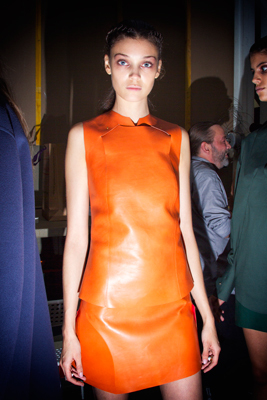 Joyce: Spring Summer 2015 round up part 1 – Welcome Back! Spring Summer 2015 round up part 1 – Welcome Back! 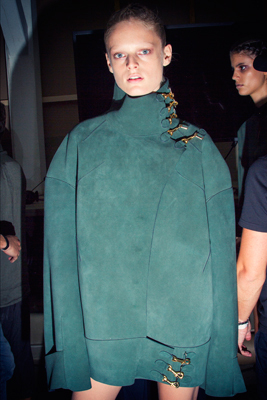 Joyce is delighted to welcome the return of Esteban Cortazar and Rodolfo Paglialunga. Cortazar was at the helm of Emanuel Ungaro for two years, then took a sabbatical before introducing his first eponymous capsule collection with much revere. He presented his first ready-to-wear catwalk in Paris during fashion week, again to much acclaim. 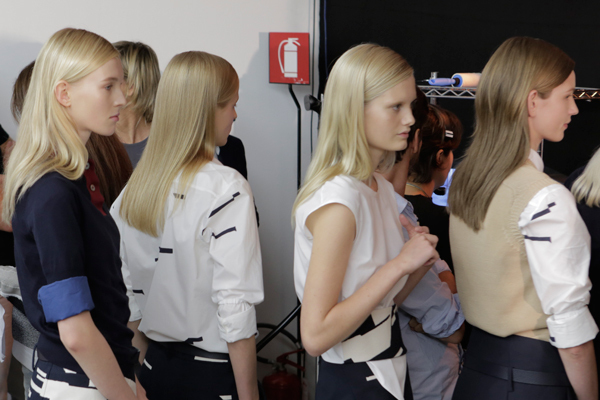 Paglialunga created a buzz during his tenure at Vionnet. He then joined Jil Sander as creative director, and debuted his first collection for the house during the Milan fashion week. During Cortazar’s sabbatical he embarked on a spiritual trip back to his home country, Colombia. There, he reminisced on his childhood – how much he enjoyed horse riding, the rich colours of the beautiful countryside, the warmth and humidity – and the sense of freedom. These very personal observations and feelings manifested themselves in his first spring summer 2015 collection: bonded leather jackets, corsets and mini-skirts in forest greens, warm orange and fiery red; fine knitwear with a long fringed hem which is woven with chiffon, flows and flounces gracefully; structured, asymmetrical and cut out tailoring is softened with the fluidity of a chiffon cover up. These are trend-defying yet contemporary wardrobe staples with Cortazar’s romantic interpretation of his own story attached to it. 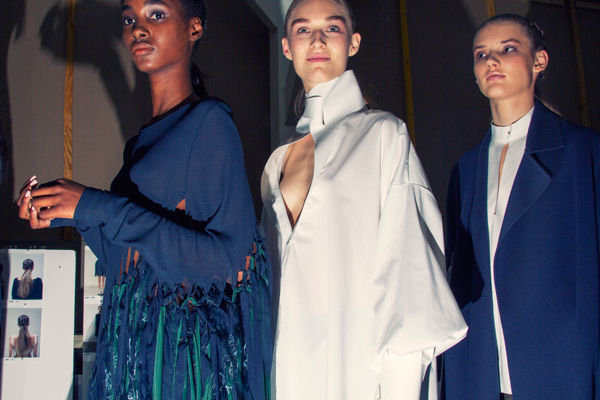 Rodolfo Paglialunga’s first collection for Jil Sander proves that his strength is not limited to feminine dresses, which reinvigorated the then sleeping house Vionnet. Jil Sander is renowned for its clean and sharp tailoring – an established code – which Paglialunga courageously infused into a relaxed attitude (even maybe suggesting some fun!). Tailored shirts are worn underneath jumpers, which are adorned with sparkly optic patterns; roll up the sleeves then pair with a pair of wide culottes and nappa knee-high socks and you’re ready to go. A modern take on the androgynous style of Swiss photographer Annemarie Schwarzenback whom the designer drew inspiration from. 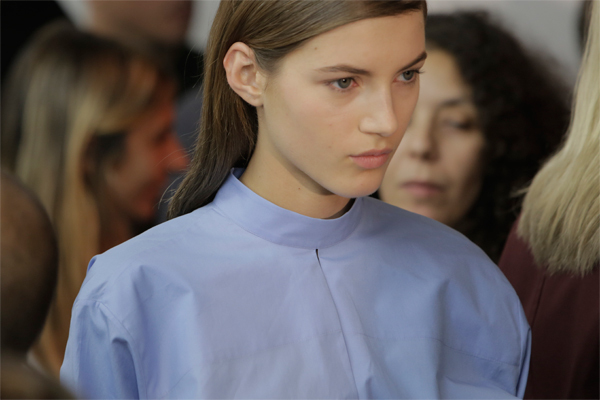 Both Esteban Cortazar and Jil Sander Spring Summer 2015 will soon be available at Joyce, stay tuned.